World War 1 scarred Australia to a degree that is hard to fathom today. From a population of less than 5 million, Australia raised an Army of 416,000 men, of whom 330,000 deployed overseas. In the four years of the war, more than 60,000 died, and three times that number were wounded, gassed or affected psychologically. It took the country two generations to recover. World War 1 (WW1) is often cited as having extended from 1914 to 1919. The 1919 end-date reflects the signing of the Treaty of Versailles, which marked the offical end of the war, even though fighting had ceased on Armistice Day 11 November 1918. The First World War as history now knows it, was centred in Europe, but spread to most parts of the globe. A chain of events began on 28 July 1914 following the assassination of the Austrian Archduke Franz Ferdinand in Sarajevo, in what was then the Austro Hungarian Empire. It triggered a succession of declarations between members of a complex string of Alliances. 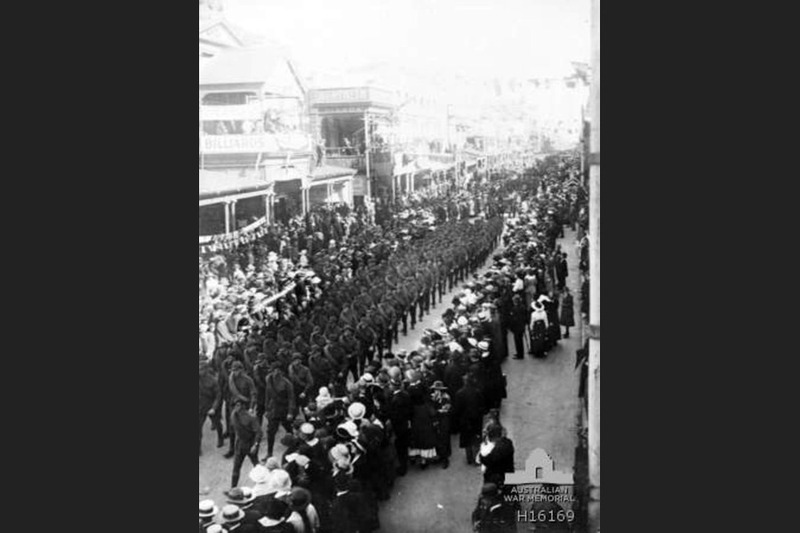 Britain declared war on the 4 August 1914 and its Dominions, Colonies and members of the Commonwealth such as Australia, New Zealand, South Africa and Canada followed suit. The War lasted until the Armistice on 11 November 1918 and was formally concluded on 28 June 1919 when the Treaty of Versailles was signed. It changed the shape of Europe the Middle East and parts of the rest of the world forever. It was referred to as the World War or the Great War from its occurrence until the start of World War 2 in 1939, and thereafter as the First World War or World War 1. It involved all the world's great powers which were assembled in two opposing alliances: the Allies (based on the Triple Entente of the United Kingdom, France and Russia) and the Central Powers (originally the Triple Alliance of Germany, Austria-Hungary and Italy; but, as Austria–Hungary had taken the offensive against the agreement, Italy did not enter into the war initially. These alliances both reorganised (Italy subsequently fought for the Allies) and expanded as more nations entered the war including, eventually, the United States of America. In far-off Australia, this political and diplomatic complexity meant little. All they knew in Australia was that there was a war on and that Britain looked to its Dominions. Men flocked to the colours. 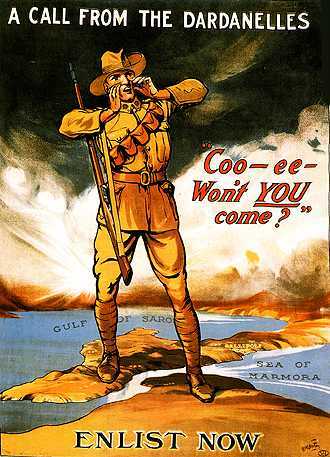 Australia entered and finished the war as the only nation to field an all-volunteer army throughout. A nation of less than five million people raised an army of more than 400,000 men, more than 330,000 of whom served overseas. The dash and elan of earlier wars was replaced with a terrifying slaughter on an industrial scale, largely because of technological advancements that led to enormous increases in the lethality of weapons without corresponding improvements in protection or mobility. Cavalry, once the arm of decision in the land battle, was rendered obsolete in all but the Middle East where the Australian Light Horse enjoyed success because the battlefield was less defined than on the 'Western Front'. There artillery, machine guns and defensive positions dictated proceedings until late in the war. Chemical warfare entered the equation with toxic gas being used by both sides. It was only when tanks and aircraft successfully entered the land battle in coordination with artillery and effective offensive action under capable Commanders, that the nexus of tactical paralysis was broken. Ultimately, more than 70 million military personnel, including 60 million Europeans, were mobilised in one of the largest wars in history. More than 9 million combatants were killed and twice as many again wounded. 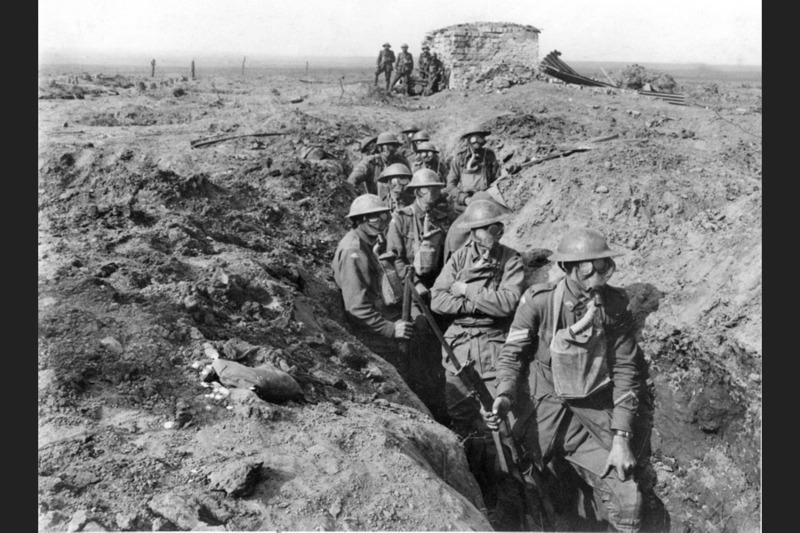 Over a million men were missing with no known grave on the Western Front from both sides. This had a particularly heavy impact on Australia and the other British Dominions, who had supplied largely infantry forces. It was among the infantry where the highest casualties were incurred. South Australian - 5565 killed approx 9.2% of Australian total losses. Nearly one in every five men of the AIF was killed. Together with Canada, these two former British Colonies suffered the highest loss rate of any nation that took part in the war. The wounded and traumatised numbered in the tens of thousands. Many of the survivors died young - nearly 50% of the survivors had died within 20 years of the war's end. Many died at their own hand (suicide) particularly as the despair of the Great Depression took hold. Tens of thousands of families that would otherwise have formed did not. Many women whose men had perished never re-partnered, a generation of future leaders had been swept away, and the nation took fully two generations to recover. The effect on Australian society can barely be fathomed today. 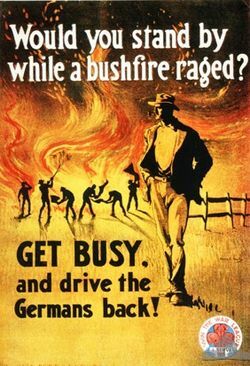 As the late author Bryce Courtenay remarked, Australia as a nation suffered Post Traumatic Stress Disorder as a result of the Great War. It was the sixth-deadliest conflict in world history, subsequently paving the way for various political changes, upheavals, revolutions, a new order in Central Europe the extinction of many monarchies among some of the nations involved and the beginning of a long decline of the European Colonial empires. To compound the combat losses of the war, many of the survivors succumbed to what was called the Spanish Flu epidemic. More recent analysis and hypothesis suggests that it was in fact a swine flu pandemic that began in the USA and spread to Europe with the arrival of the American Expeditionary Force in 1917. Whatever its origins, it spread rapidly from there as the war came to an end taking a fearful toll particularly among the wounded still in hospitals and in the broader civilian population. Ultimately, the flu epidemic was much more lethal than the war and with a much greater reach, inflicting 40 million deaths world wide. The War left a searing gash in the Australian national psyche. The signs of physical and mental affliction were strongly in evidence. Disfigured and limbless men were a feature of the post war period and plentiful evidence of mental trauma was in evidence at the time.This often obscured story is told very eloquently in a wonderful book written, perhaps appropriately, by a woman. Patsy Adam-Smiths 'ANZACs' of 1978 marked the beginning of a resurgence of interest in the First World War just as the numbers of veterans begans to shrink rapidly. There was another legacy which is not much spoken about in contemporary history. The Australian Corps evolved from wilful and sometimes ill-disciplined amateur colonial troops at the start of the war, to an elite force. The myth of the 'natural soldier bushman' was fostered but the reality was there were more men from the city than the country. The reality was an important evolution had taken place, forged in the crucible of combat experience, and effective an alysis and training to improve on deficiencies throughout the war. 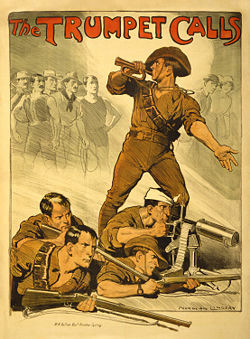 From amateurs at an individual and collective level, the AIF had by war's end matured to a well led, seasoned professional fighting force, the members of which constantly amazed its commanders with attributes of initiative, audacity and determination, and most importantly effective leadership at all levels. 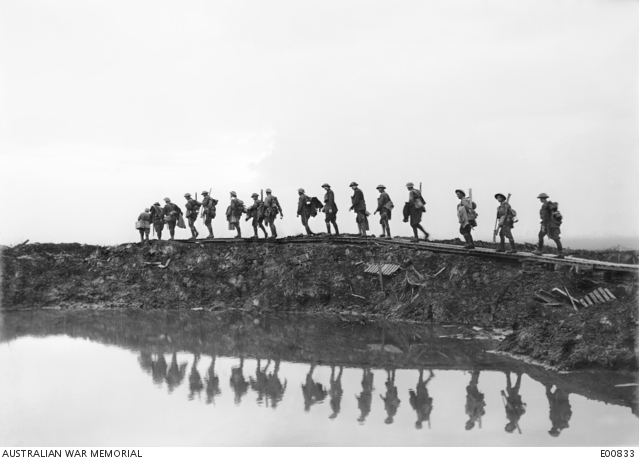 The Australian Corps swept all before it as they were used as the shock troops of the 'last hundred days' offensive. Under the command of General Sir John Monash, the Australians had developed and demonstrated mastery of the combined arms tactics that the other Allies emulated to finish the War, culminating at Mont St Quentin and then the attacks on the Hindenburg line near Bellicourt and Beaurevoir. In the years afterwards the returned men generally chose not to talk about their experiences because they believed (probably quite rightly) that anyone who had not been there could ever really understand the depths of horror and trauma to which they had been subjected "and that it was best to 'move on' with life". There was certainly a great war weariness in broader society. Importantly they could not share another largely unspoken sentiement; the pride in their accomplishment and the elation of survival and victory they had felt with each battle won. Only their comrades knew; those with whom they remained bonded by shared expereince and their service in their Army family - the Battalions and units - for the rest of their lives. Many men went on to make further great contributions to public life. Sadly many men died well before their time, and many others were never quite able to re-bridge the gap between war service and civilian life. Sadly it has only been since the last of these men passed on that the nation has revisited this point in time to try and understand its impact on those men, our nation, its people and their communities, by telling their stories. That is the core objective of this site. Showing 4 of 8 images. May 3: "Peaceful Penetration - Low-Cost, High-Gain Tactics on the Western Front"
Aug 8: "The Last Hundred Days"